We strongly believe in supporting our local farmers, makers and artisans. Every product has to taste great, have a wonderful aesthetic appeal and a good story behind it. We look for beautifully packaged products with a point of difference, that are above all, mouth-wateringly delicious. From award winning fudge, to handmade nougat, to boutique wines our hampers are bountifully filled with delicious artisan produce. We search the gourmet producing regions from the Hunter Valley to Margaret River to the Tamar Valley for the finest produce and wines. With a number of foodies in our team, the products are thoroughly tested for functionality and fun! Much of our produce has received prestigious gold, silver and bronze medal awards at Fine Food Shows for being best in class Australian produce. Don't just take our word for it - the proof is in the... ahem pudding. Each order is exquisitely arranged with love and care by the members of our team. The products are carefully selected and arranged, we pride ourselves on stylish, impeccable presentation. For us, the little touches are what makes the gift memorable, which is why we add tasting notes to our hampers. The final touches are applied, as we complete our locally designed signature packaging with an organic ribbon that complements our food presentation. We want to tell the story of our products and share our knowledge of how the food and wine can be best enjoyed. People remember stories. Boxed in our durable, custom designed shipping boxes ensures that when your gift arrives, it is as impeccably presented as when it left the warehouse. The design aesthetic continues through to our shipping boxes and gift cards which also reflects our design. We thrive to create emotion from the design of the boxes to the product inside. The impact on the customer is wonderful before they even open the box. We use reputable courier companies to deliver your gift straight to the recipient's door or workplace in our beautiful strong, safe shipping boxes. We employ the latest technology so you can track your delivery. Our Gift Concierge are on standby to assist with any questions. There is a buzz of excitement as the recipient opens their gift, deeply touched by the unexpected gift. They are delighted to realise how much of an impact they have on your life. They have been given a gift, not out of obligation but out of love and genuine appreciation. Truly giving from the heart fills your life with joy and nourishes the heart. 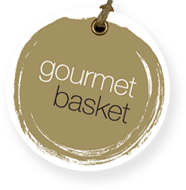 That is why so many of our customers have had the joy of a Gourmet Hamper are inspired to pay it forward and share the love. There is often more pleasure in giving than receiving - which is why we want to make the experience as much about the recipient as you who choose the gift. Our lives are richer when we share.